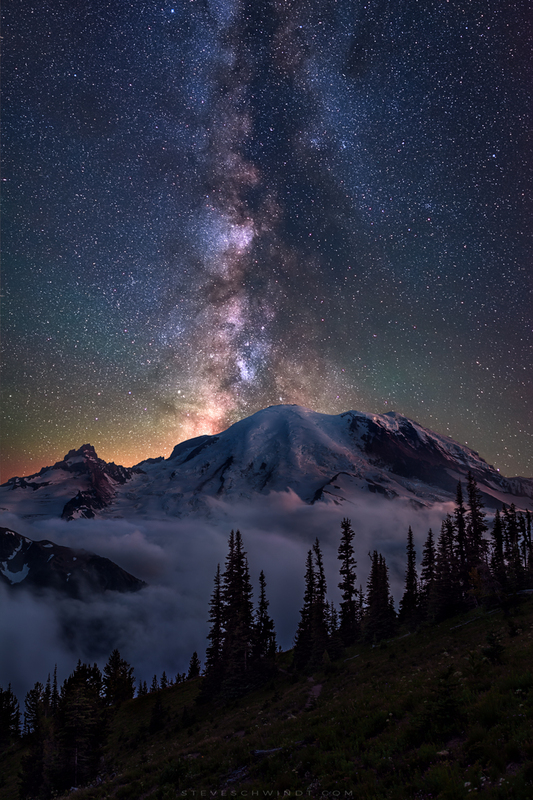 Using a Canon 5D Mark II equipped with a Rokinin 24mm lens, Schwindt seized the beauty of the wilderness outside of his hometown of Portland, Oregon while on a backpacking trip. 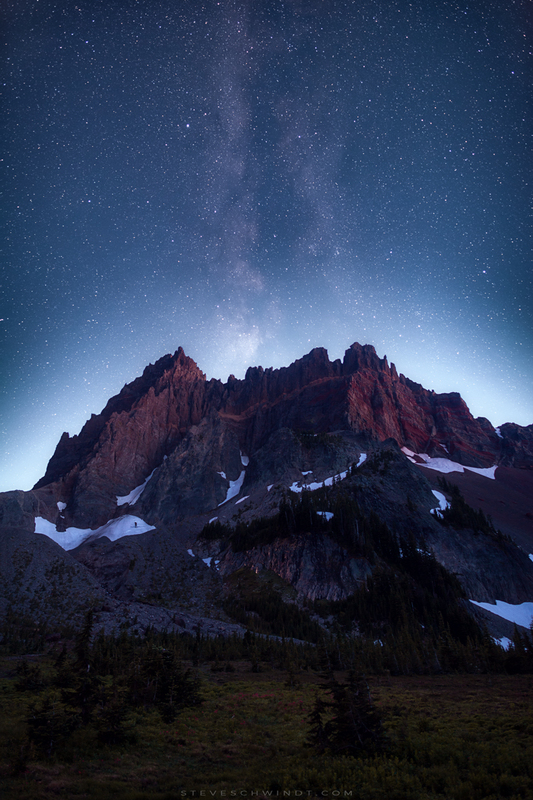 Using 11 exposures to reduce camera noise and bring out darker details in the meadow that lies at the foot of an inactive volcano known as Three Fingered Jack, he composited the consecutive shots with the help of Lightroom and Photoshop. Although the photographs feature similar subject matter beneath equally stunning skies, each evokes a unique mood that’s difficult to turn away from. I would like to know if the 11 exposures were taken at what seetings and they p;rocessed as HDR. Thanks.